Marlene Pinnock was stopped by police more than two dozen times for mental health holds, sources said. When law enforcement encounters an individual who appears to be suicidal or pose a threat to others, that person can be committed for a 72 hour psychiatric evaluation, commonly known by its legal code, 5150. Less well known is that if that person is deemed to remain at risk, the patient can continue to be hospitalized against his or her will, first for 14 days, then 30 days and even longer. But the system does not always work as planned, and for years it appeared to fail Marlene Pinnock, the homeless woman who had struggled in obscurity until her high-profile encounter with a CHP officer, whose use of force against her on the shoulder of the Santa Monica Freeway was recorded by a cellphone camera. Afterwards, authorities committed Pinnock for a 5150 evaluation. In the previous decade, Pinnock had been committed for at least 26 previous 5150 evlautions, NBC4 has learned from two sources familiar with her history of law enforcement encounters. 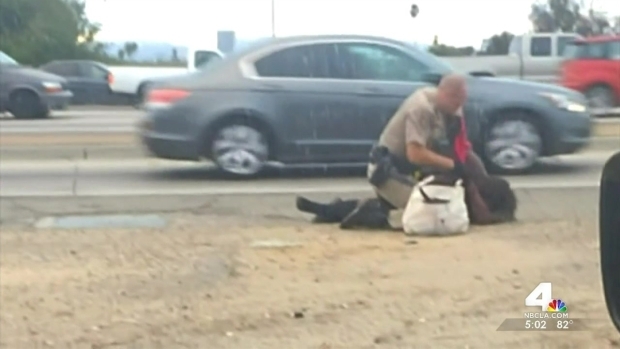 The commissioner of the California Highway Patrol says the organization is wounded in response to a video that has gone viral showing an officer beating a woman on the side of the 10 Freeway. Ted Chen reports for NBC4 News at 5 p.m. from Culver City Tuesday, July 8, 2014. In several of the previous commitments, Pinnock approached vehicle traffic and expressed suicidal thoughts, according to the NBC4 sources. Commitments under 5150 do not require court approval. Further commitments under 5250 and other sections can be challenged by the patient in Superior Court. Those records, dealing as they do with personal mental health information, are not public. NBC4 has not been able to determine if any of the previous commitments were extended, or whether Pinnock received any psychiatric treatment after those releases. After the July 1 incident, Pinnock remained hospitalized for 34 days, according to her attorney Caree Harper, who declined to discussed the nature of the care on privacy grounds. Pinnnock is now doing well, Harper said. Harper focuses on the use of force, which she describes as excessive and unjustifiable. On the video, Officer Daniel Andrew was seen striking Pinnock as he held her down. 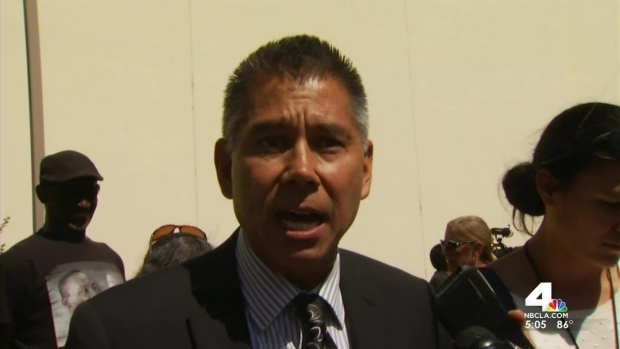 He has been relieved of duty, and the CHP has asked the Los Angeles District Attorney to consider filing "potentially serious charges" against him. Harper contends Pinnock's mental health history is less relevant in the current case than Officer Andrew's state of mind. 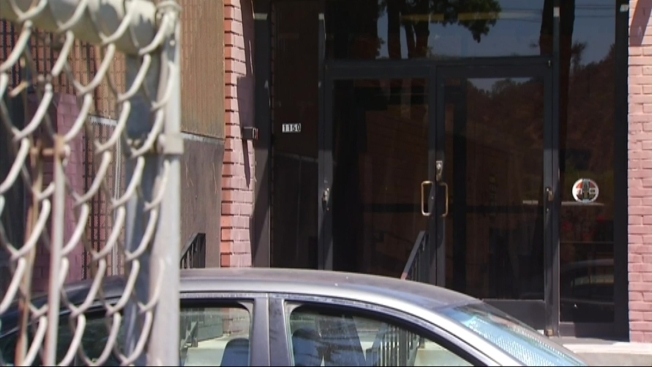 The goal of the mental health system is to encourage patients to seek voluntary treatment, according to Kathleen Piche, a licensed clinical social worker who serves as a spokesperson for the Los Angeles County Department of Mental Health. For those who do not, the involuntary commitment provisions are intended to provide a mechanism for protecting the individual, and society. Countywide, there are approximately 64,000 commitments every year under 5150, Piche said. Countywide numbers for 14-day extensions under 5250 were not available, but figures for County-USC show 1,601 in 2010. Since then the number of 5250 commitments has decreased, dropping to 390 in 2012, the most recent full year for which Piche was able to obtain statistics. Community leaders are calling for a federal civil rights investigation over the CHP takedown that was caught on video. The woman's attorney says the officer "started writing the lawsuit" with the first blow. Michelle Valles reports from Willowbrook for the NBC4 News at 5 p.m. on Thursday, July 10, 2014. Current law has its roots in the Lanterman-Petris-Short Act (LPS) signed into law in 1967. Some see need for further amendment. Los Angeles County is in the process of implementing Laura's law, which enables courts in certain situations to order persons with serious mental illness "to accept treatment as a condition of living in the community," according to the Laura's Law home page. Piche has served as a patient's advocate at hearings under LPS. Whether to hold a patient against his or her will is a difficult decision, she said. "There are limits," she said. "It's walking a line between our civil liberties and--you know-- getting that person help.